From the available brain MRI, can you give an opinion about my headache? 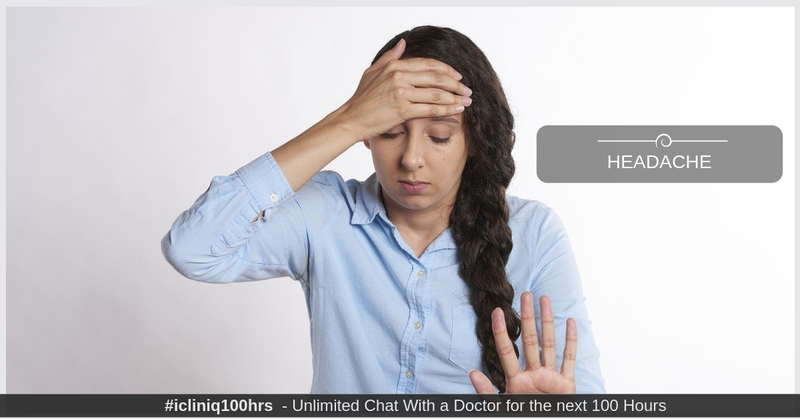 iCliniq › Ask a doctor online › Answers › Neuro surgery › Migraine Headaches › How can I differentiate normal headache and a migraine headache? Q. How can I differentiate normal headache and a migraine headache? Answered by Dr. Gerry Mike and medically reviewed by iCliniq medical review team. I am 33 years old, female. I suffer from tachycardia (heart checked, everything is normal) and anxiety and depression, and dizziness only when I am walking. I am not having dizziness when I am lying, and I am a smoker too. I have a headache often but I cannot recognize if it is a migraine or not, and recently have my MRI scan on the brain. Can you please tell me your opinion about the result? This is the impression: T2 FLAIR hyperintensity foci within the white matter in the centrum semi ovale and near the vertex which is more than expected, given patient's age. The distribution is non-specific. Most of this is atypical for demyelination. • I am experiencing headaches due to light sensitivity. Why? • Does opiate withdrawal cause nausea, low BP, muscle pain and urea smell? The tachycardia you are experiencing if the usual cardiac exam and diagnostics were already been done and showed normal result may have been coming from anxiety. This should be well tolerated and cannot produce you any harm. The dizziness and headaches should coincide with the same problem either what comes first will lead to the other symptom. Dizziness basically comes from so many factors like lack low iron supply in the blood or low red blood cell count. Other factors that can precipitate to this is benign positional paroxysmal vertigo or simply BPPV (basically a condition coming from your middle ear). Diagnosis entails having blood exams like your complete blood count (CBC) and otological exam using an otoscope to check for inflammation and infection of the ears (which is a fairly common problem with BPPV. The exact mechanism on this is the head position that you need to identify so as to keep this dizziness to reoccur in certain positions. It would be helpful taking some Betahistine 16 mg tablet twice a day for this bout of dizziness. Headaches, on the other hand, could also be of so many things but usual causes are myogenic in nature. It can range from migraine headaches, cluster headaches, tension headaches, etc., and the treatment entails primarily with a Nonsteroidal anti-inflammatory drug (NSAID) like Ibuprofen taken every eight hours, but remember to take this religiously without fail to keep the drug's potency so as to make it effective. Migraines usually occur with a strong family history. If you have a family member that exhibits this kind of headaches, then possibly you also have it. They are most of the time precipitated with a stressful insult, may it be from lack of sleep, skipping meals to a tiresome job. It is helpful if you could identify this stressor so as to avoid it. It would definitely help you. The MRI findings T2 flair hyperintensities foci within the white matter in the centrum semi ovale and near the vertex are incidental findings that do not correlate well to a disease. This particular signals in the brain are most often than not seen also in normal individuals and does not cause any symptoms at all. To conclude, it is nothing important and will not cause you trouble. This all should help you best as your guide. I have inappropriate sinus tachycardia. Should I get a pacemaker? Why am I having constant eye floaters, low back and hip pain? Would LAD lesion cause tachycardia?